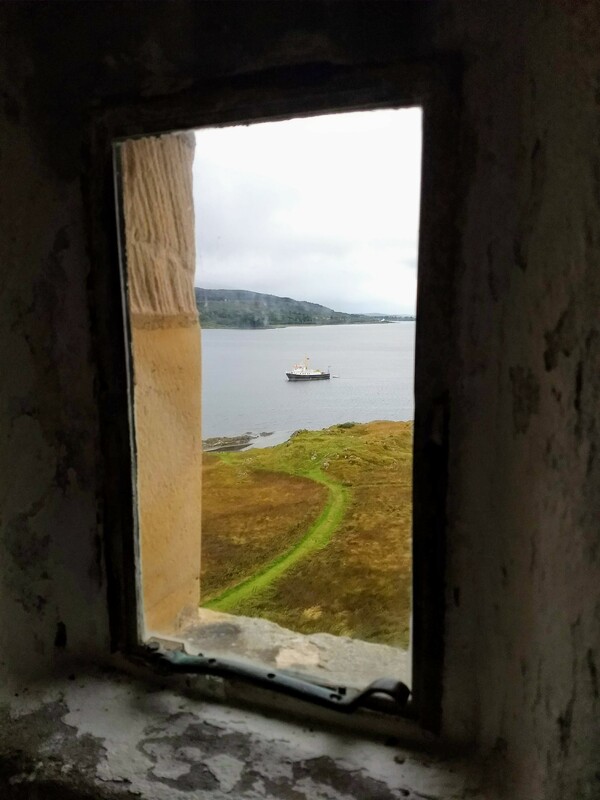 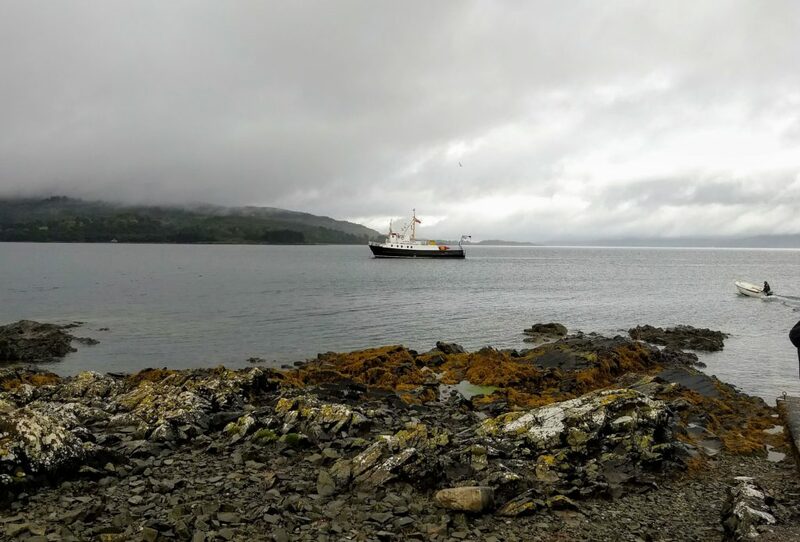 The boat had spent its summer in Norway and needed to return to Troon on the west coast of Scotland. 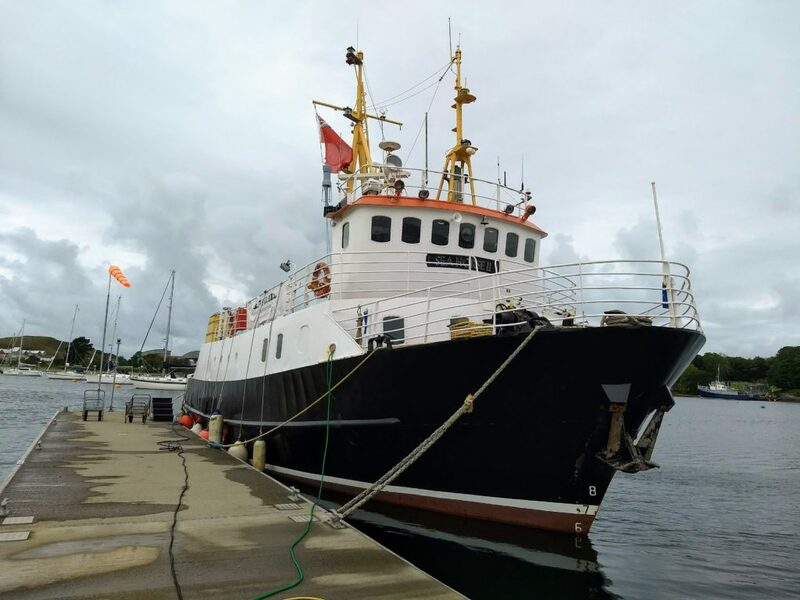 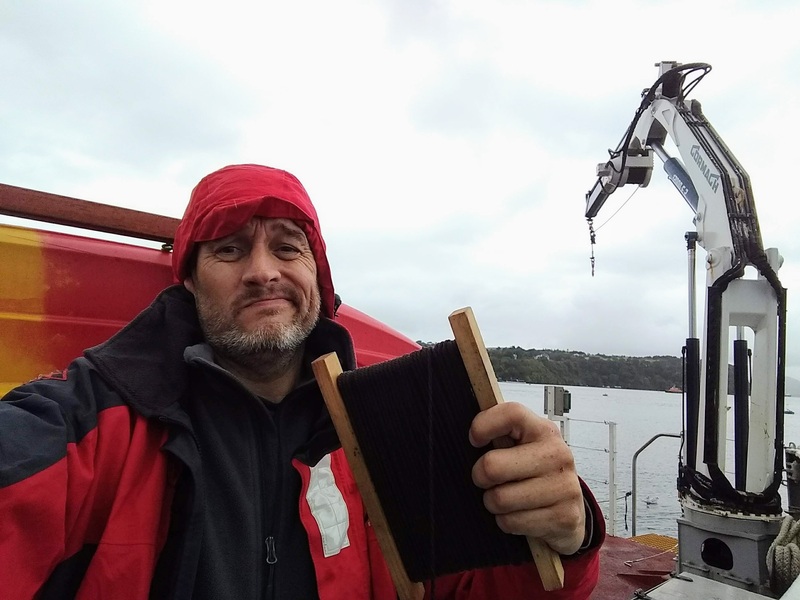 I flew back to Stavanger to rejoin boat, this time with another crew member who had originally helped in bringing the boat over. 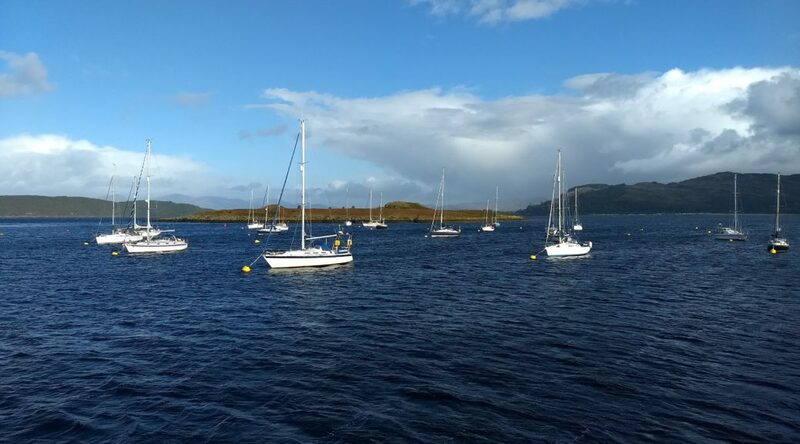 The weather forecast was good so we didn’t hang around and set sail after a couple of days. 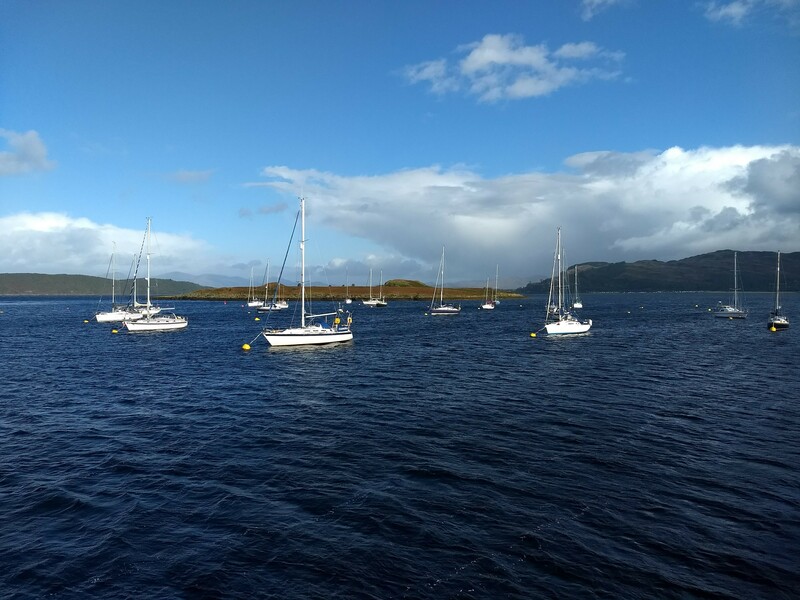 The wind averaged 15-20 knots and was on the beam all the way so was ideal for sailing. 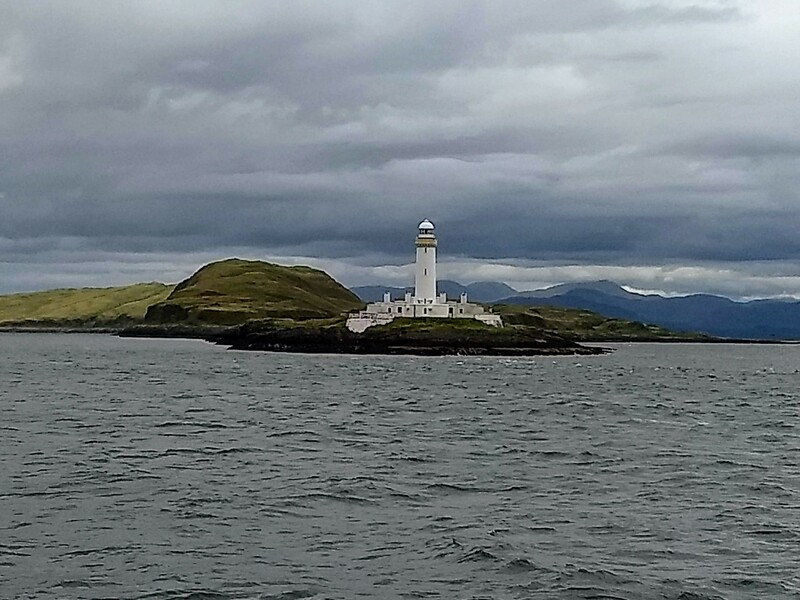 We saw a few oil rigs, wind farms and a few boats but it wasn’t as busy as I thought it might be. 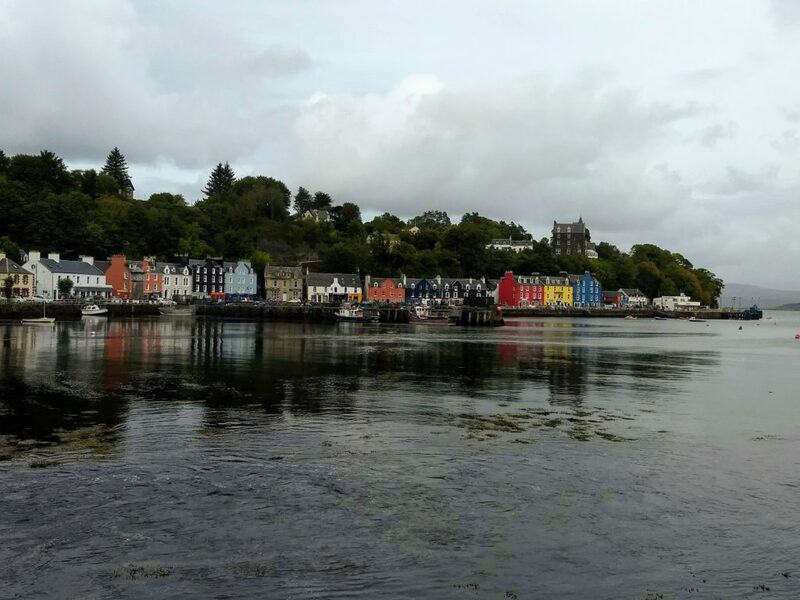 Two days and two nights later we were there. 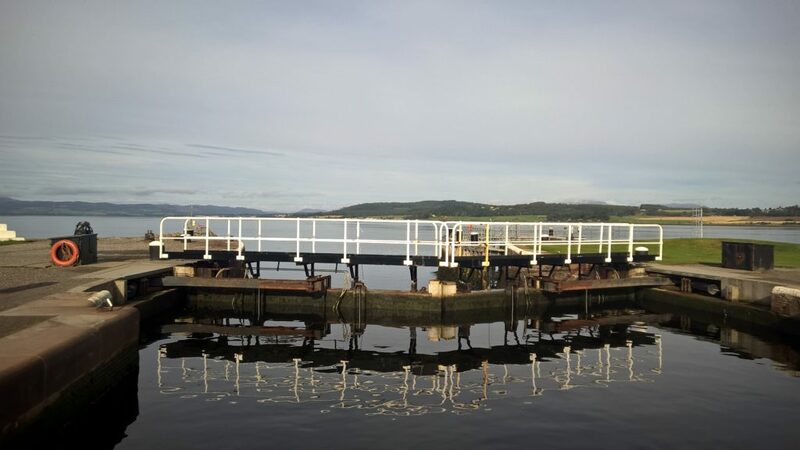 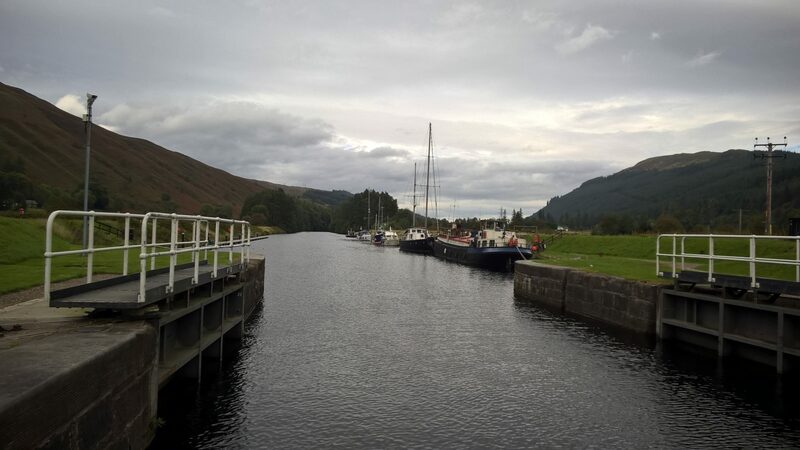 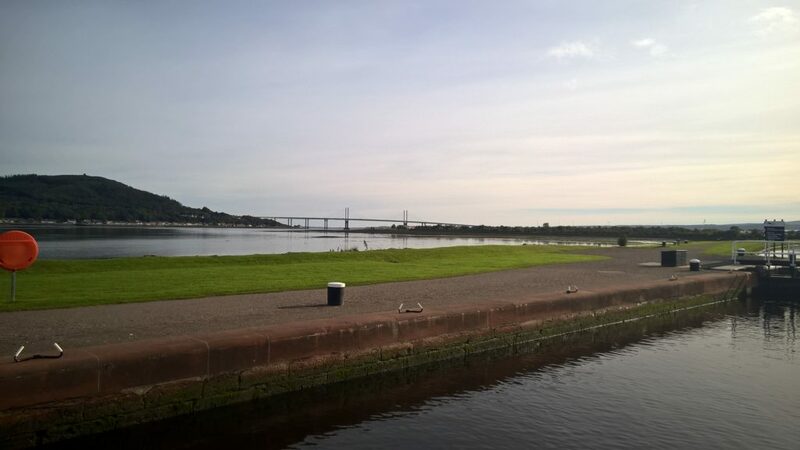 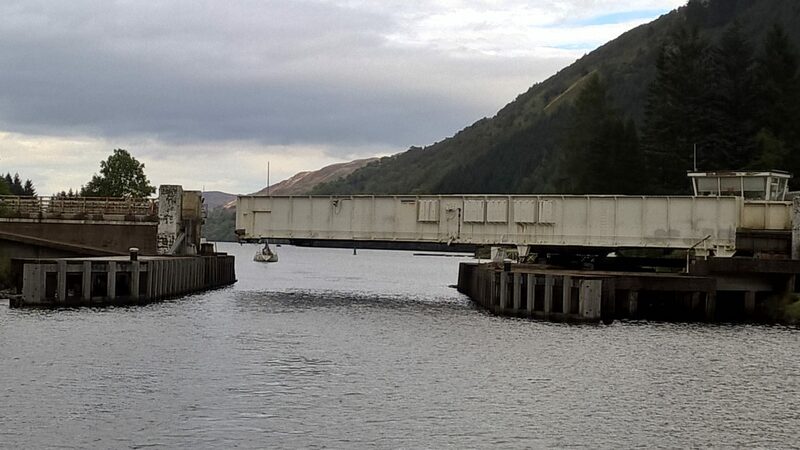 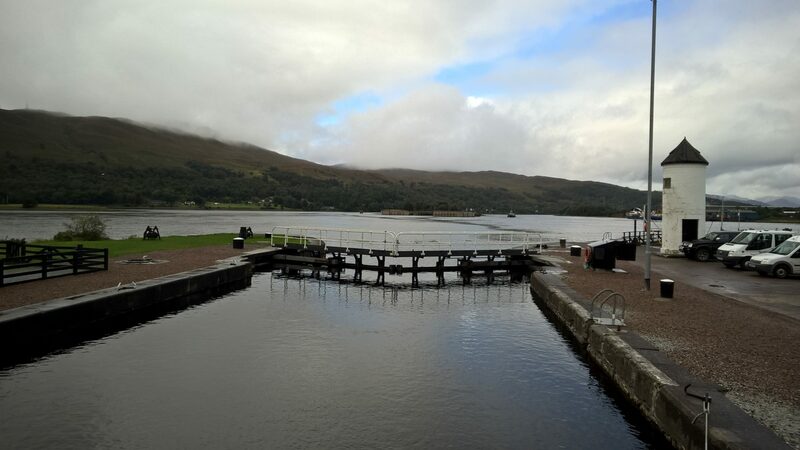 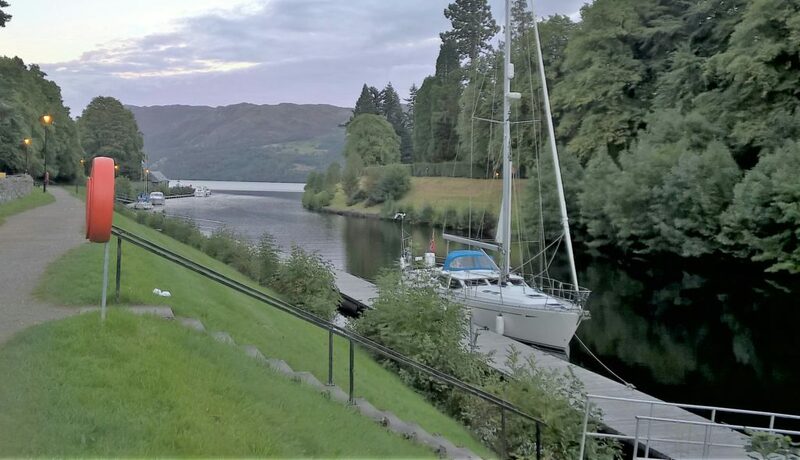 Once we reached Inverness in the early hours of the morning it was time to enter the Caledonian canal. 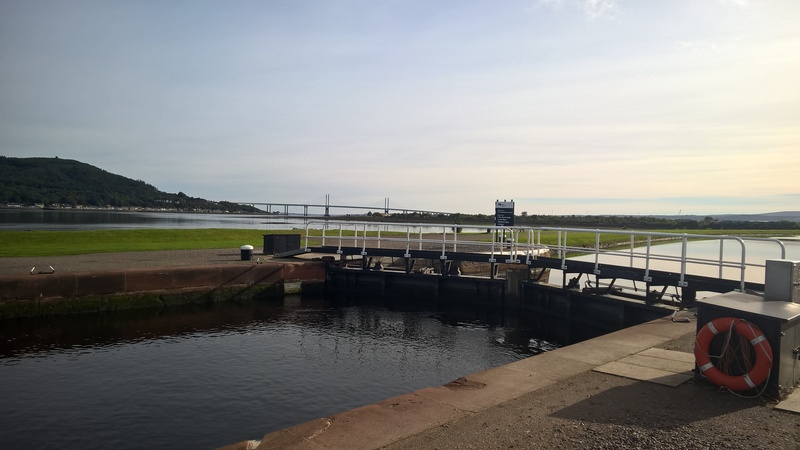 This would take us from north east to south west Scotland, a total of 60 miles including 29 locks, 4 aquaducts and 10 bridges. 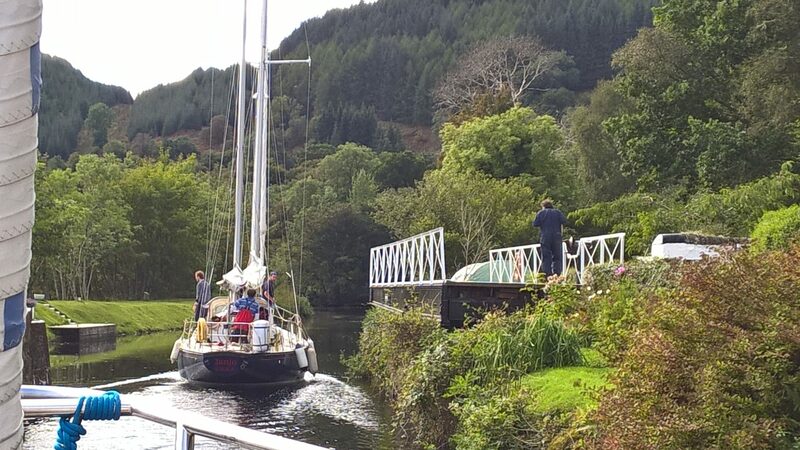 We called ahead and the lock was open waiting for us. 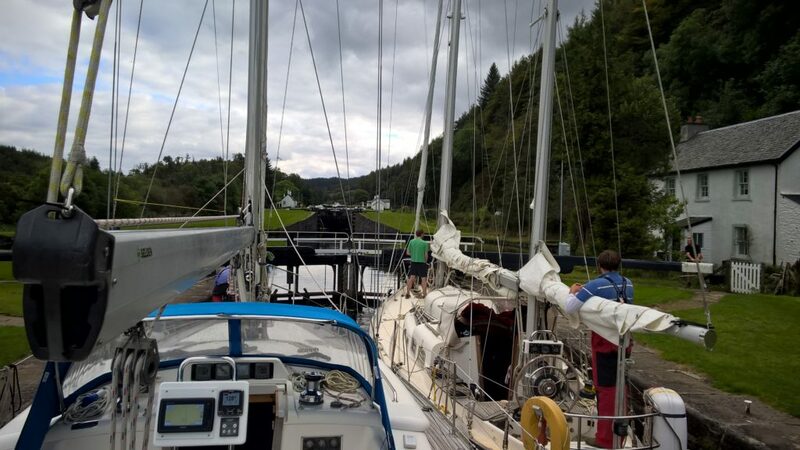 Waiting in the lock whilst the skipper does the formalities – you have to pay a fee to use the canal. 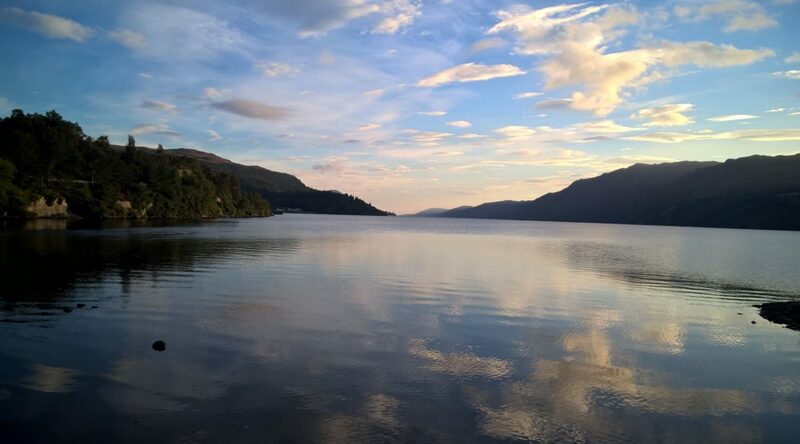 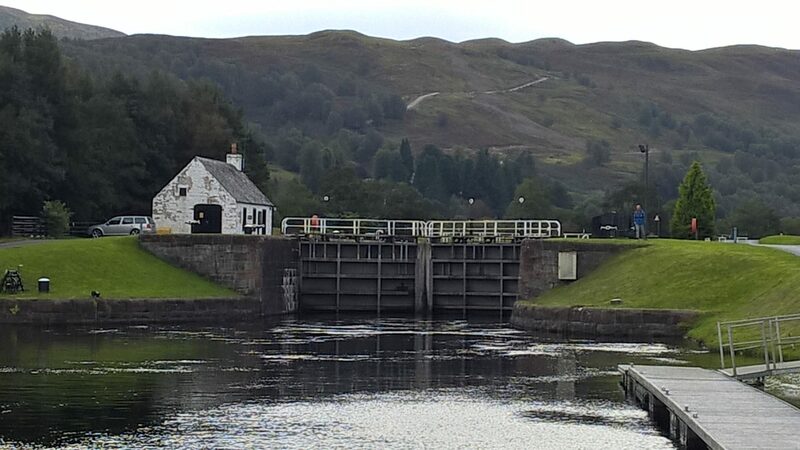 Only a third of the canal is man made, the rest being formed by four different lochs, the most famous being Loch Ness of course. 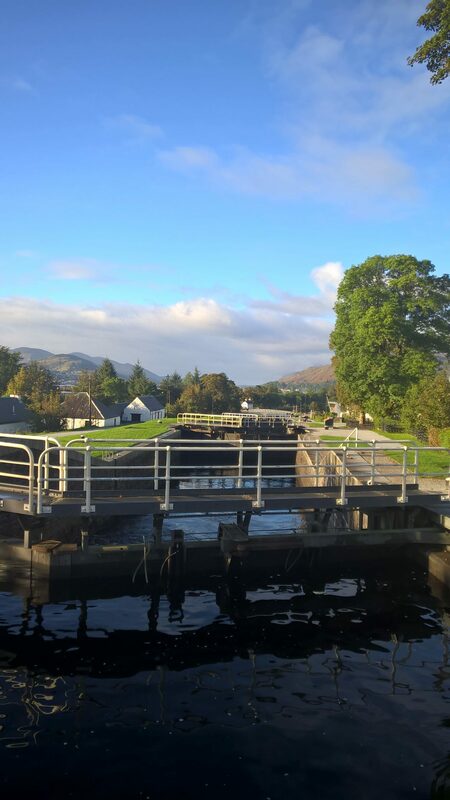 The start of Neptunes staircase, a total of 8 locks which take at least 1 and a half to 2 hours to get down. 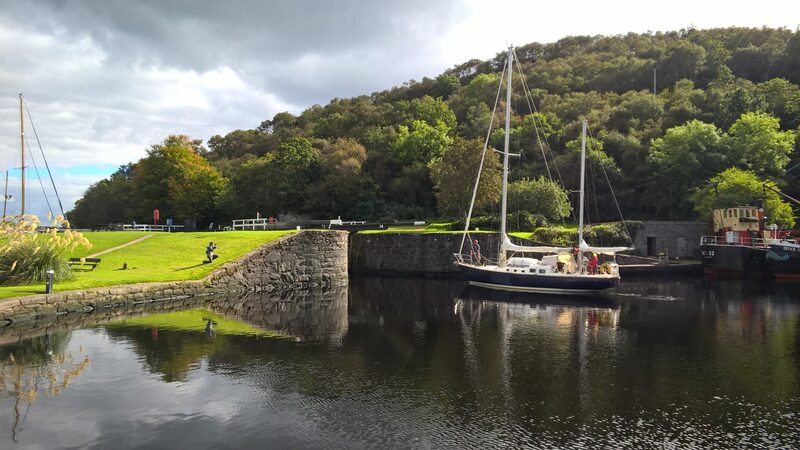 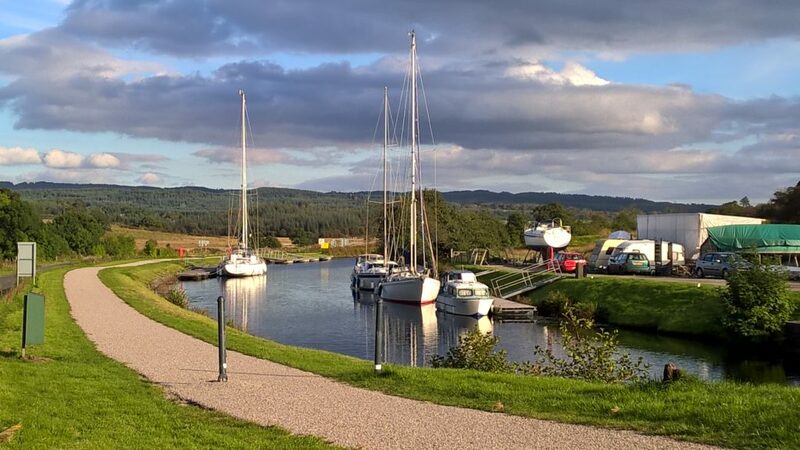 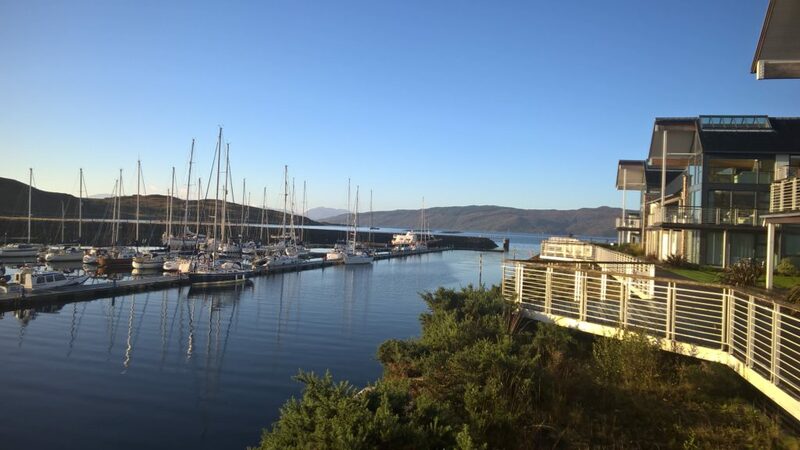 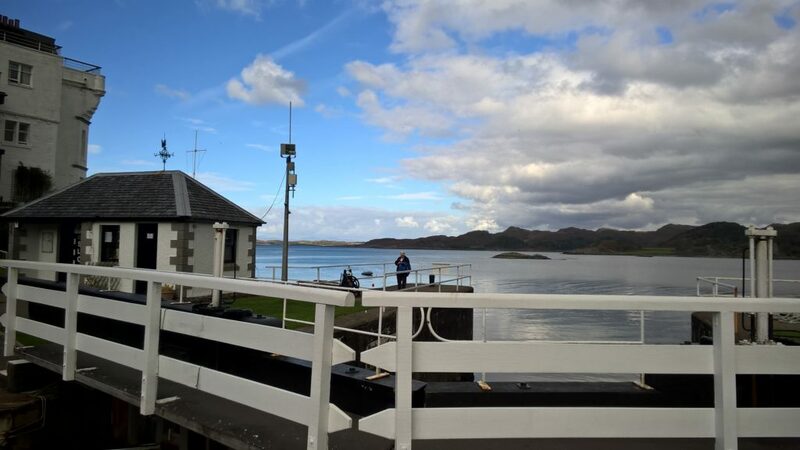 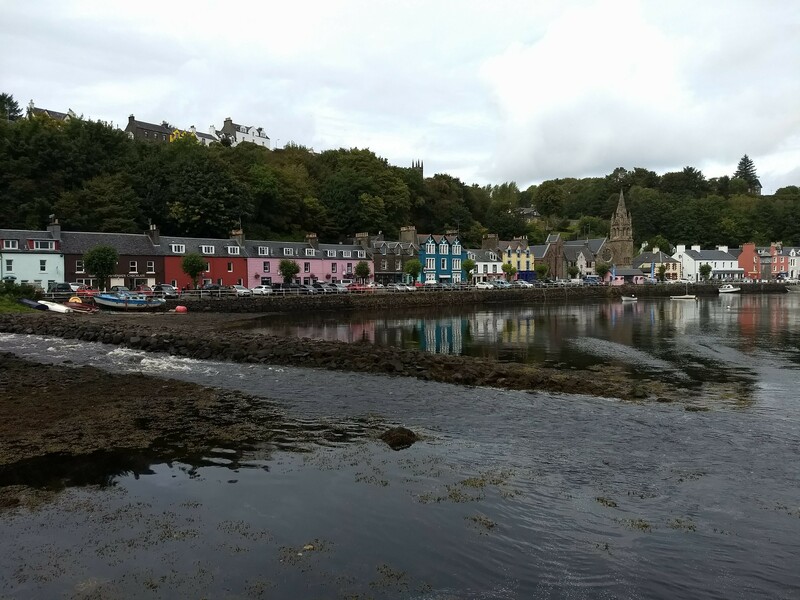 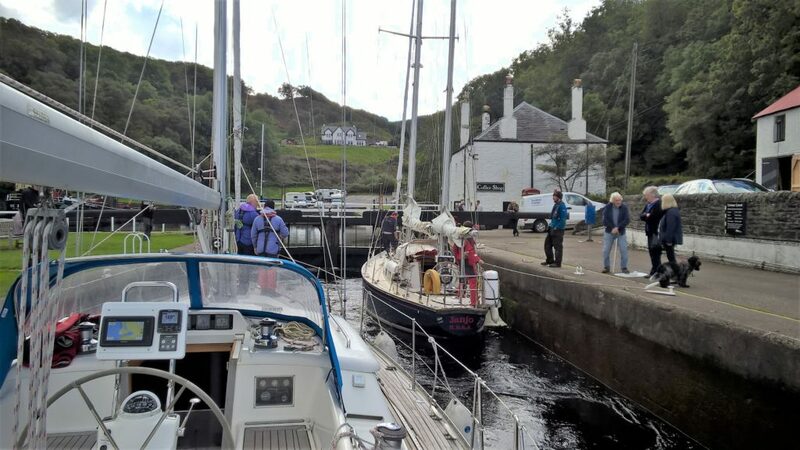 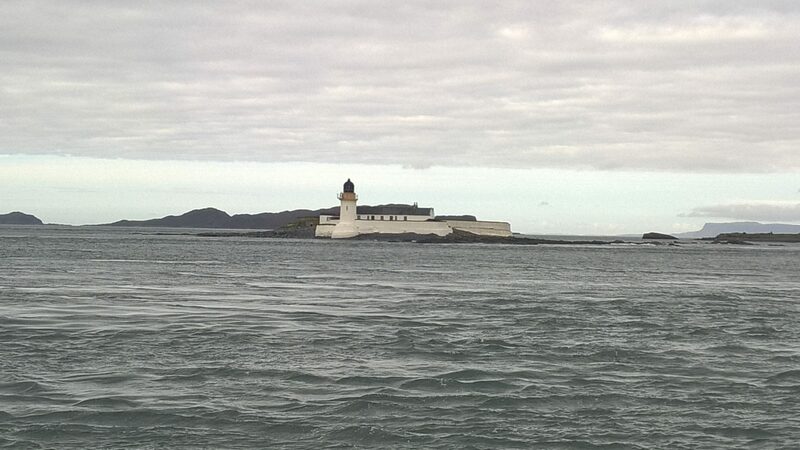 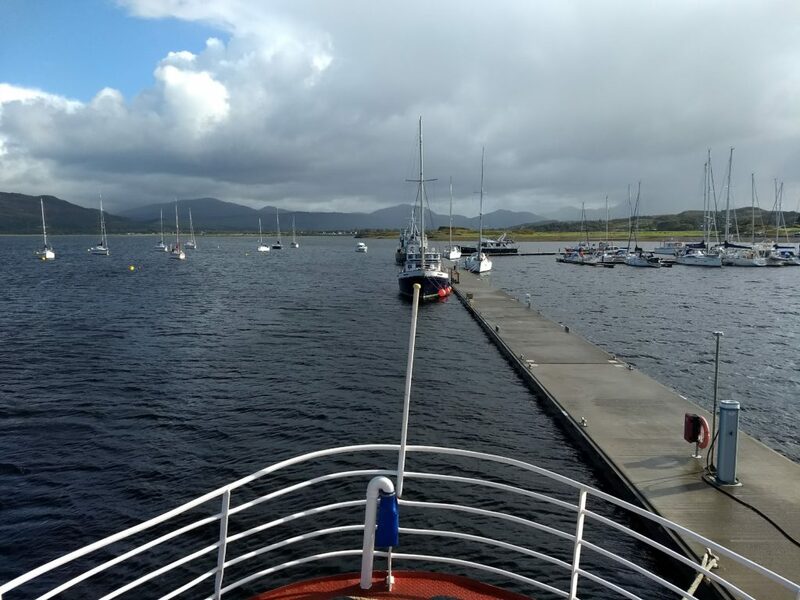 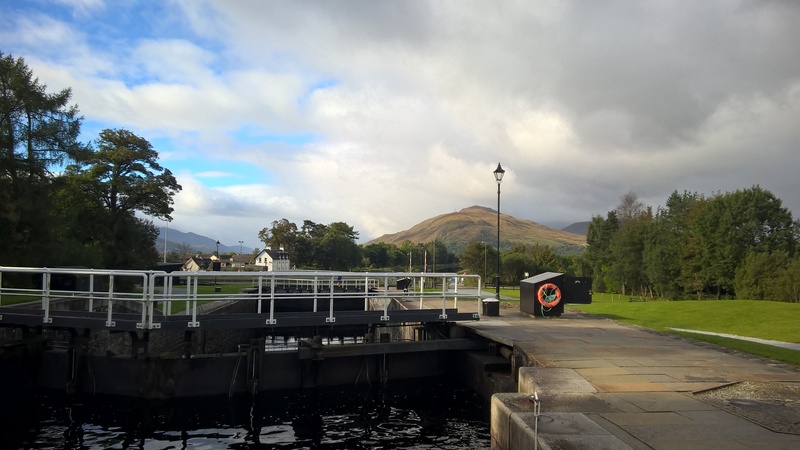 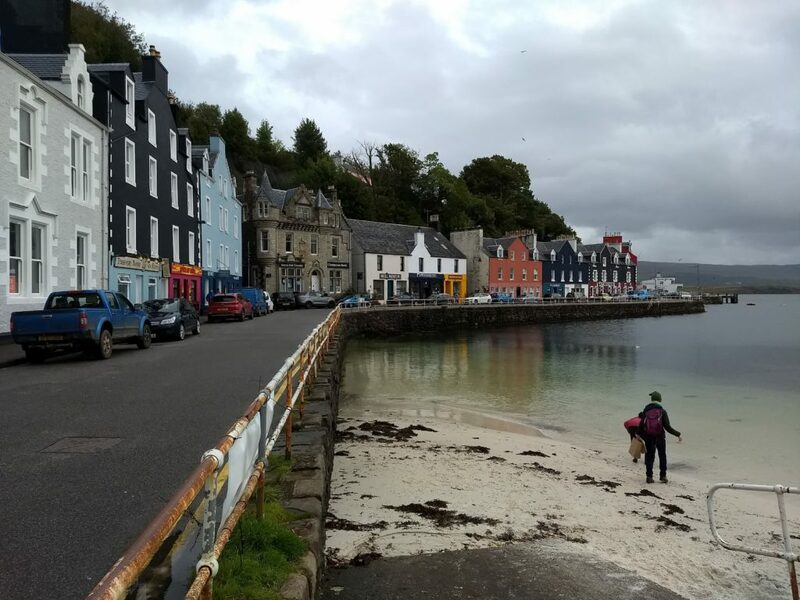 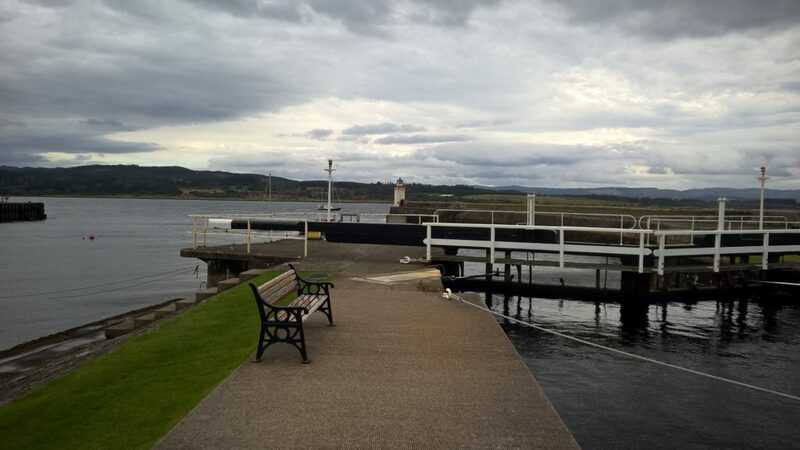 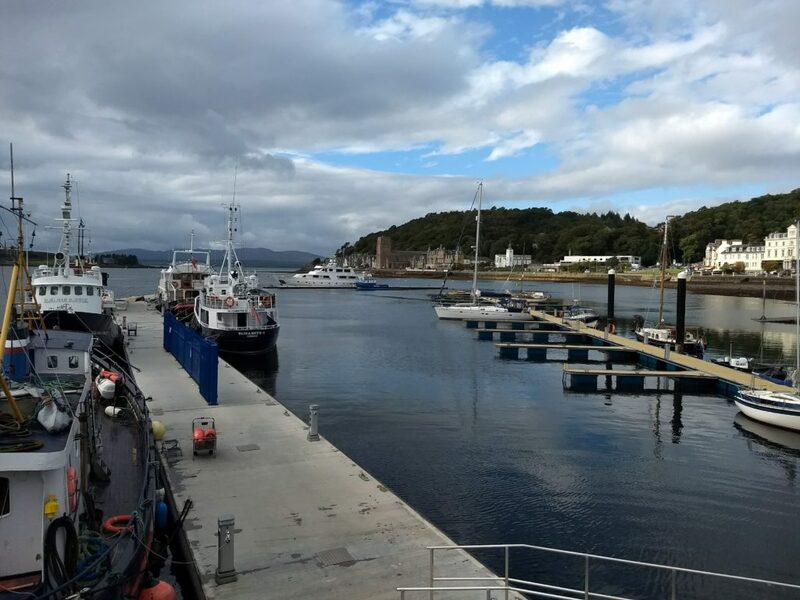 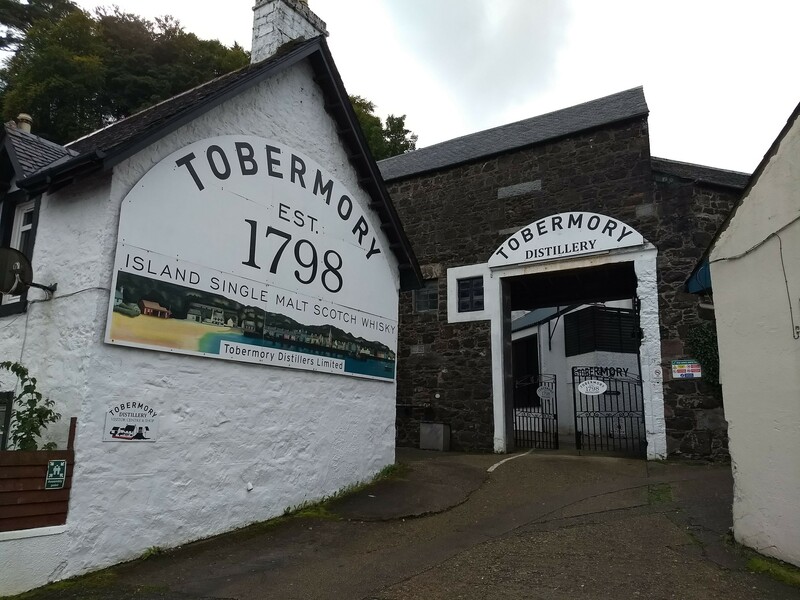 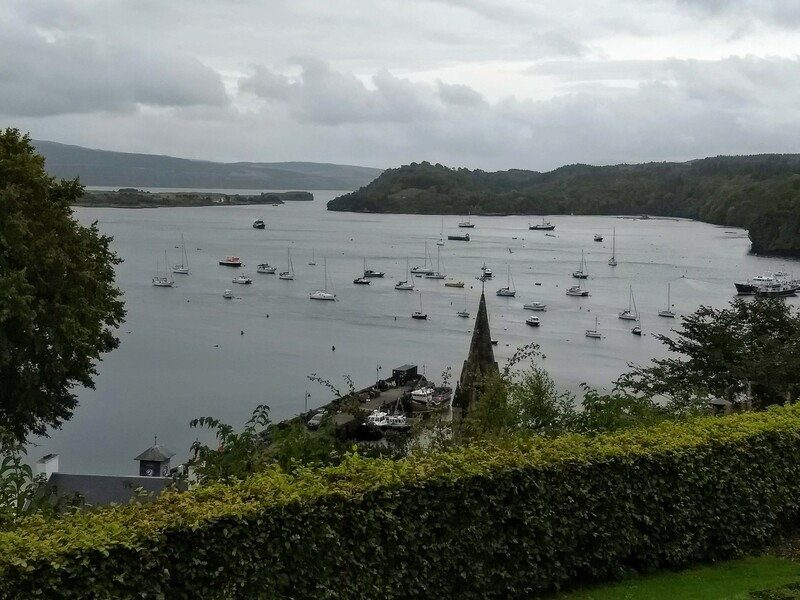 Our pen ultimate stop was at Portavadie, a marina with some interesting history behind it. It was completely blasted out from the rock in the 1970’s, the government gave the go ahead as it chose the site to build new oil rigs. 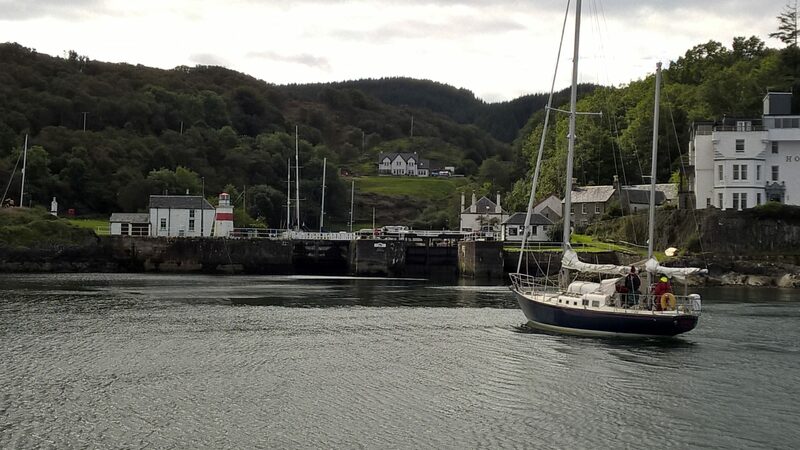 They also built quite a few houses nearby to house the workers who were going to work at the yard. 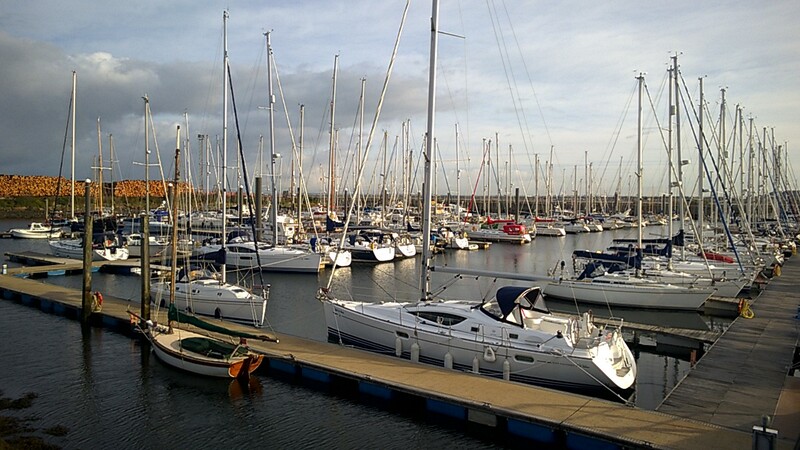 Unfortunately the new oil rigs never happened and the site along with its many new houses lay empty for many years. 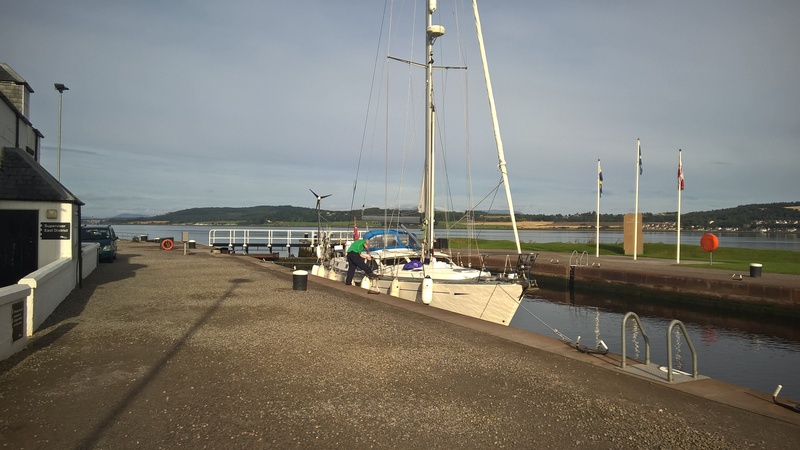 That was until the Bulloch family bought the site and in 2010 the new marina was opened along with 5 star luxury apartments, saunas, restaurants and conference suites. 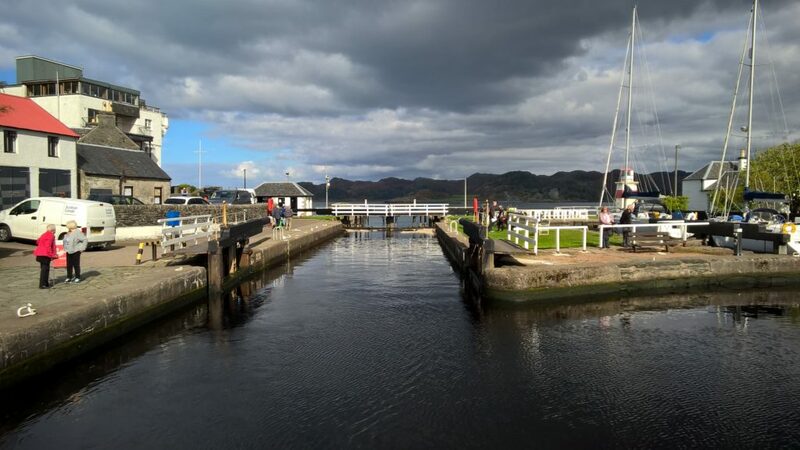 The last day saw us make the short hop from Portavadie to Troon in some great weather.